China's online populations reached an amazing 230 million at the end of the 1st quarter of 2008. Moreover, China now has more Internet users than any other country in the world! This vast user base facilitates the e-commerce boom in China. Last year 55 million of Chinese Internet users purchased goods online for 5.36 billion Euros (B2C and C2C transaction volume excluding travel related transactions). That's a jump of 13 million online shoppers and 2.53 billion Euros spent online in comparison to 2006. But that's just the beginning - for the year 2011 an online shopping transaction volume of 36 billion Euros is forecasted! We've talked with Alexandre Misseri, a French Internet entrepreneur living in Shanghai, who has launched 88BRANDS.com - China's first online club of private sales. 88BRANDS.com celebrated its first anniversary this June 1st with a revamped homepage designed to enhance user experience. Alex provided us some insight in this skyrocketing market and shared his hands-on experience of launching an e-commerce start up in China with us! Online private fashion sales originated in France some years ago and are spreading now in Europe and the US. Normally online private fashion sales work like this: Users first need to become a member of the exclusive club and then receive email alerts providing details on upcoming sales. The members log in, browse the items on sale and ultimately buy. Well known clubs include Vente-Privee (France, Spain, Germany), BrandAlley (France & UK), koodos (UK), brand4friends (Germany) and ideeli, GILT, & RueLaLa (US). What is your China story? What brought you to China? Why did you decide to launch your company in Shanghai? I discovered the country trough an internship which I did in 2001. I came back to work in China in 2005. After two years I decided to launch 88BRANDS.com. I come from an entrepreneurial family and always wanted to run my own business. Living and working in Shanghai, the business heart of China, I realized that there is growing demand for international brands and designer products. The timing for launching 88BRANDS.com was just right as more and more Chinese are willing to shop online and a breed of younger consumers is driving e-commerce in China. The adoption of more credit cards will further facilitate the growth. 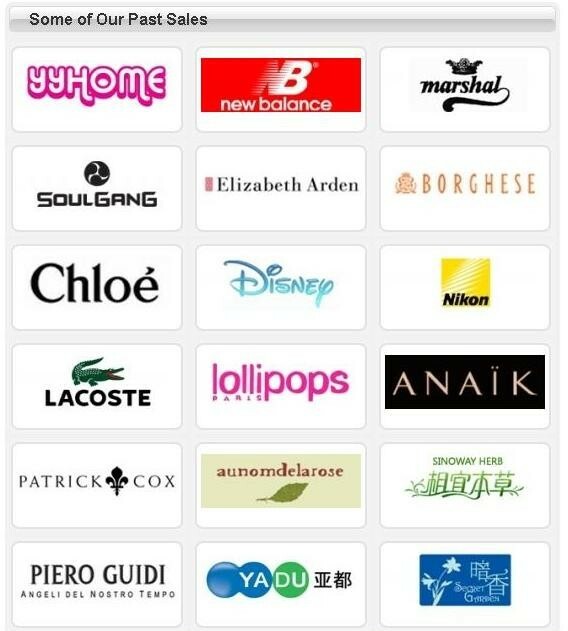 88BRANDS.com is an online Private Club offering, exclusively for its Members, end-of-season renowned international brands and designer products at discount prices. 88BRANDS.com is an event-driven company that strives to offer to its exclusive Members a constantly renewed offer through the multiplication of exceptional sales held only for a few days. This concept was inspired by the traditional Private Sales of famous brands and adapted to the Internet market. The concept of online private sales originated in France a few years ago and is now successful in several European countries. How do the Chinese customers perceive this e-commerce model so far? It is not a natural business model in China. The offer should always be as big and as open as possible, which is the contrary of our model. As it is a really new concept in the Chinese market it takes quite a lot of work and efforts to explain it and make it understood and adopted by the Chinese people. But once they understand it they really like it! People here enjoy the feeling of exclusivity, they love brands, and even more, they are crazy about discount! You basically brought a proven business model from France to China. In which respects did you adapt and localize the model to the needs of the Chinese customers? The core business model itself remained unchanged. But of course you need to have a website that appeals to the local consumers. In Europe those private clubs don't provide any information about their past sales nor about their featured brands, but on 88BRANDS.com we do. We believe it is necessary to attract new members and explain the concept of online private sales. So it is more the marketing tools that need to be adapted to the Chinese market. What experiences can you share with us and our readers concerning the differences in the online shopping behavior of Chinese and European customers? 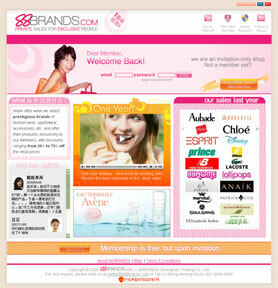 88BRANDS.com is billed as China's first online shopping club. According to you, what are the reasons that dominating foreign players in this industry like Vente Privée did not try to gain a foothold in the Chinese market so far? The business model of online private clubs is a very new one. In Europe the first clubs opened about seven years ago, and it took them quite a while to be really successful. So they have been fully occupied with developing the domestic market, then European one. And China for them is the "wild wild web", both in terms of geography and culture. So the logical development before going to China is the expansion to neighboring countries which have a sophisticated internet infrastructure and a well developed e-commerce culture. Taobao is extremely successful and paved the way for C2C platforms in China. Is this success facilitating the rise of B2C platforms in China? Websites like Taobao definitely opened the market and helped changing the mind of people to buy online. The first platforms to arise have been B2B platforms like Alibaba. Later C2C sites like Taobao (a product of the same company) made their inroads. Now is the turn of B2C platforms, but there are very few well established websites yet. Companies still have difficulties in reaching out to their target market. Online B2C is very difficult in China. The number of Internet users is growing at a high pace, but the total turnover of B2C pure players is still very low. What challenges and difficulties did you experience in launching an internet start up in China? Let me rephrase the question, as it should be more like: ''what has not been difficult in starting an e-business in China?'''. Then the answer would be easy: nothing! I personally think that the number one challenge is recruitment. It's very difficult to find the right people, and even harder to keep them. As a foreigner, launching your business in China is definitely more challenging than if you did it in your homeland, for obvious cultural reasons but also due to the competitiveness of the environment and the difference in business practices. Which advice would you give to foreign internet companies that are planning on expanding to the Chinese market or to Internet entrepreneurs that are planning to launch a startup in China? Expect the unexpected! It is pretty tough sometimes (often! ), so be ready to face all kinds of challenges, especially ones you have never faced before or thought could never exist! But also never give up! You need to be very open-minded and accept being a foreigner in a country you will never fully understand. People are the key; to have a good team is the key. And by the way: for a web entrepreneur, it is important to realize as soon as possible that you will never be able to read your own website!! 88BRANDS.com celebrated its 1st anniversary on June 1st - Congratulations and all the best for the upcoming years. How would you summarize your first year of operations? What are you development plans? We are very happy with the development so far. We already have more than 100,000 members and from this week on all new registrations will have to be upon invitation as our webiste is a private club and growing very fast thanks to our sponsorship system. We sold products from more than 50 brands so far. We plan to continue selling at least two new brands every week, to continue our development in the local market, focusing on large cities, and to raise funds to enhance our operations capacity in order to reach another level before the end of the year. As you can see we have started the launch of the second version of our website. 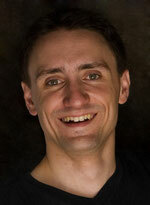 We want to offer a stronger user experience and are going in the rich commerce direction. The revamped design is the first stop of a major remanagement and localization of our website. We have some amazing new features in the pipeline. I can tell you exclusively that we are going social as well very soon!